1. 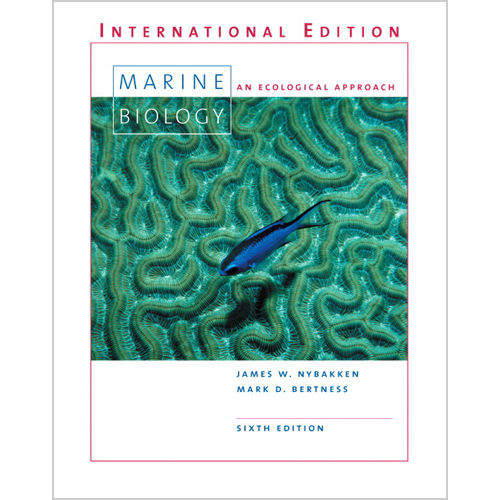 Introduction to the Marine Environment. Comparison of Terrestrial and Marine Ecosystems. Division of the Marine Environment. 2. Plankton and Plankton Communities. Primary Productivity of the Biosphere. The Ocean Ecosystem: The Classic Model. The Ocean Ecosystem: A Changing Model. Composition of the Oceanic Nekton. Community Ecology of the Benthos. 5. Shallow-Water Subtidal Benthic Associations. Composition of the Interstitial Assemblages. 8. Estuaries and Salt Marshes. Symbioses of Algae and Animals. 11. Human Impact on the Sea. Global Warming and Sea Level Change.